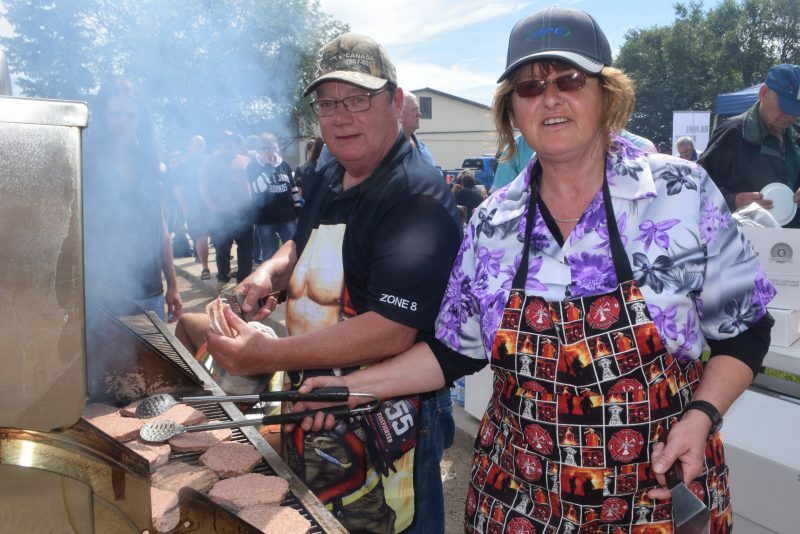 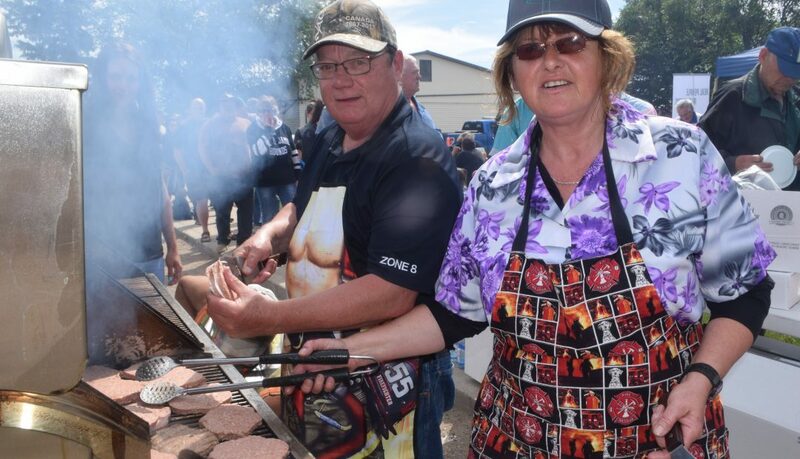 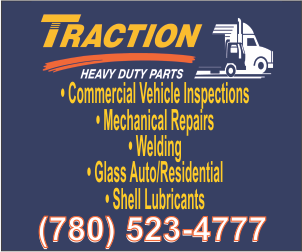 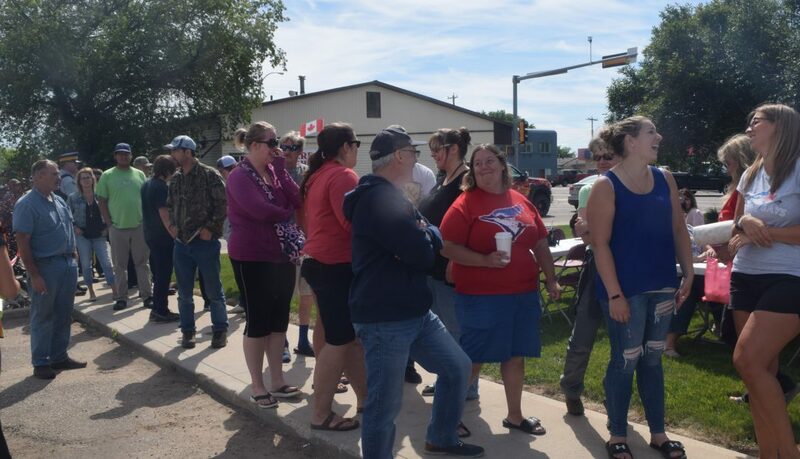 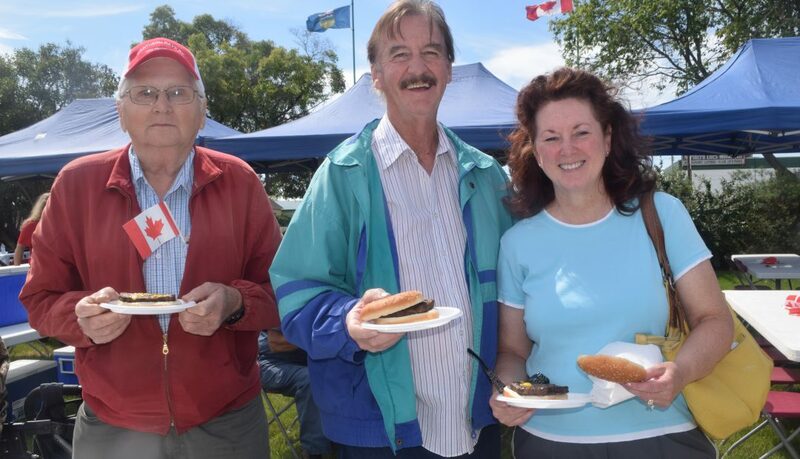 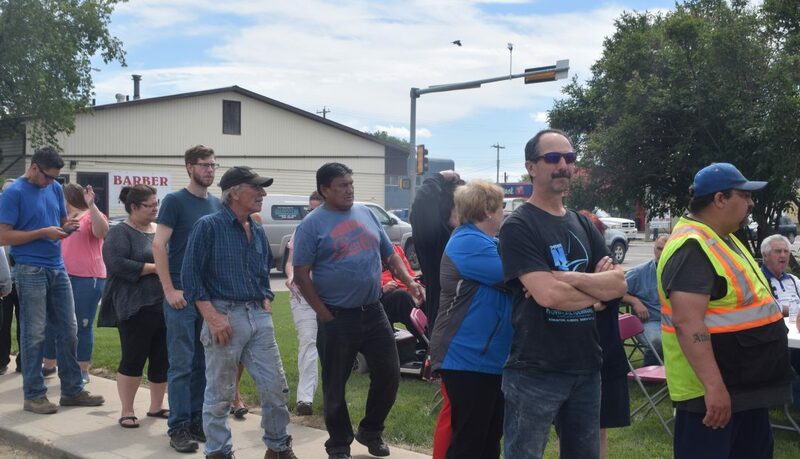 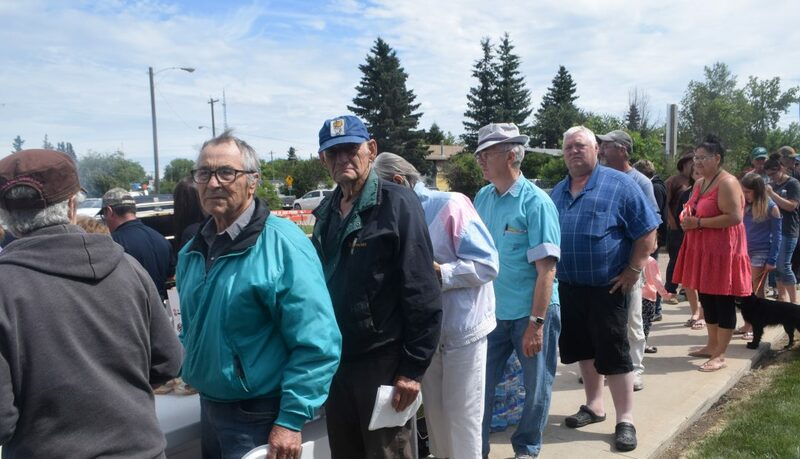 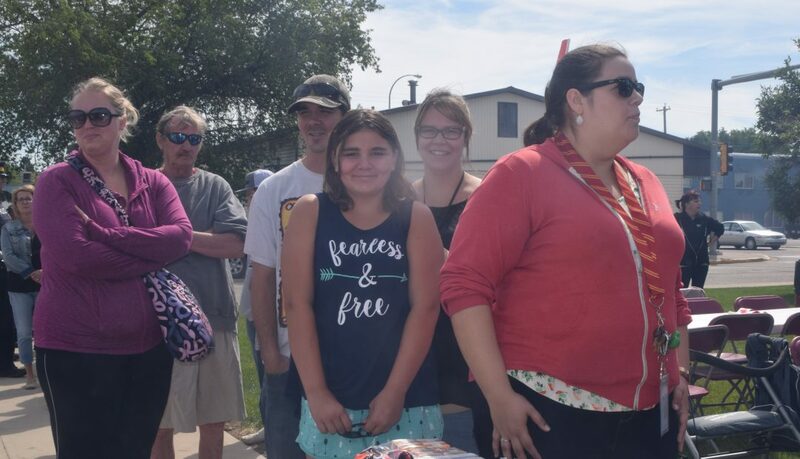 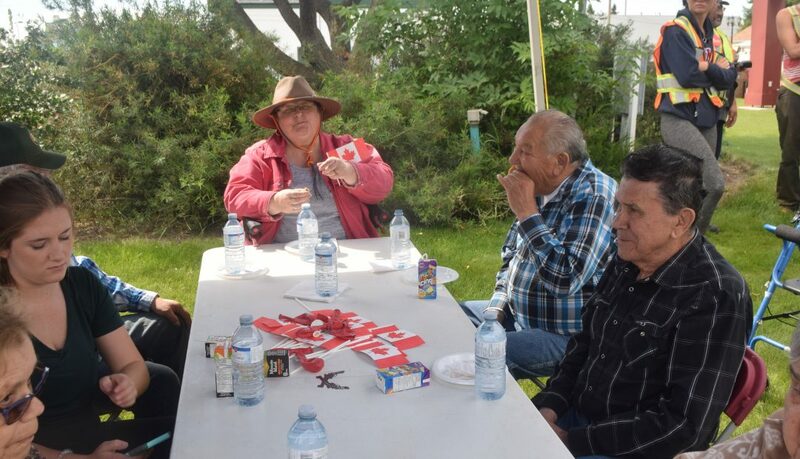 The Town of High Prairie hosted a Citizen Appreciation BBQ for the residents of High Prairie from 11-2pm on June 29, 2018. 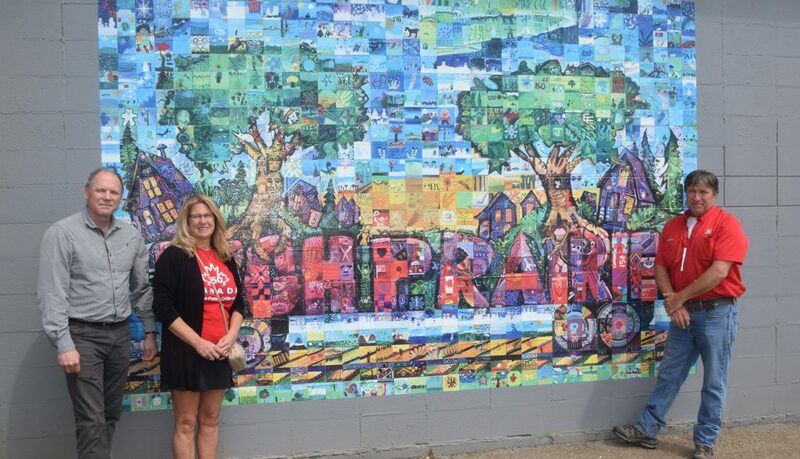 Presentations were made at the Civic Square to those who participated in the Canada 150 Mural Mosaic and a replica of the mural was revealed on one of the walls of the High Prairie Museum. 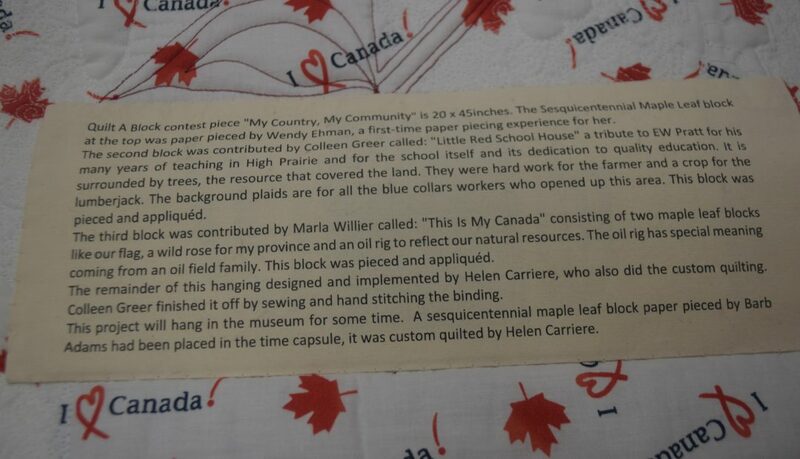 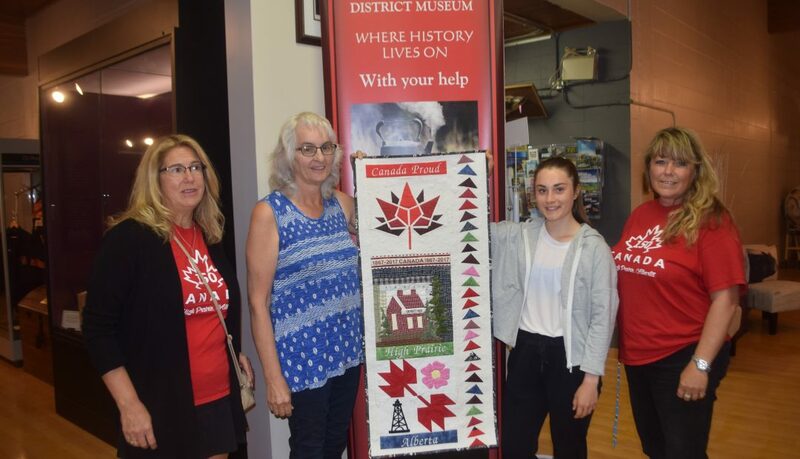 The presentation of the Canada 150 quilt contest wall hanging was also unveiled at the museum. 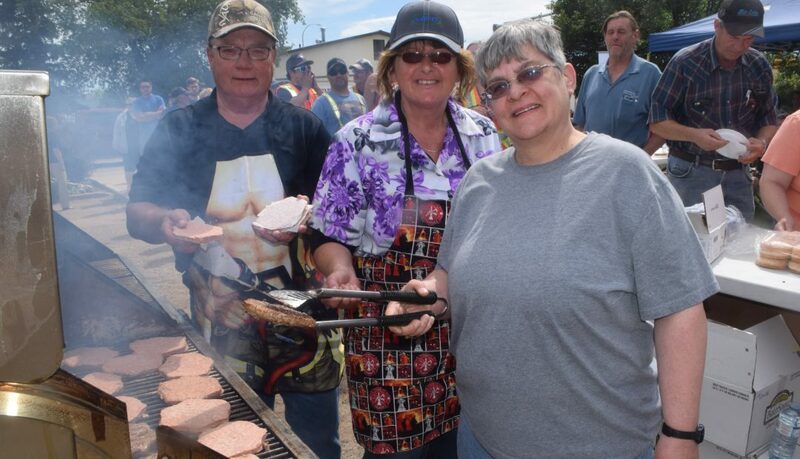 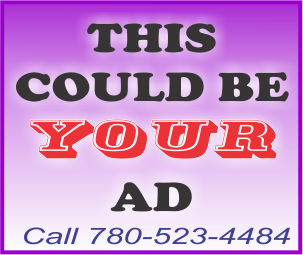 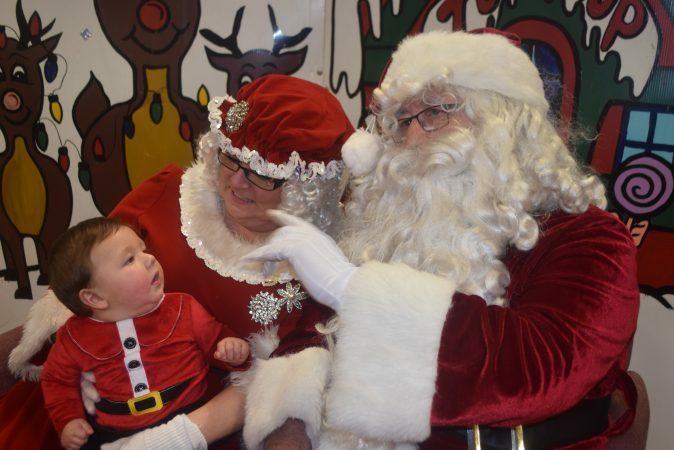 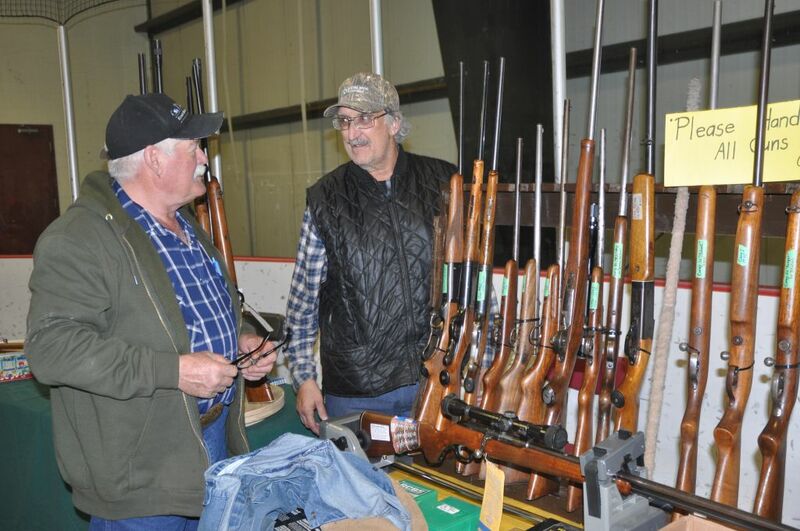 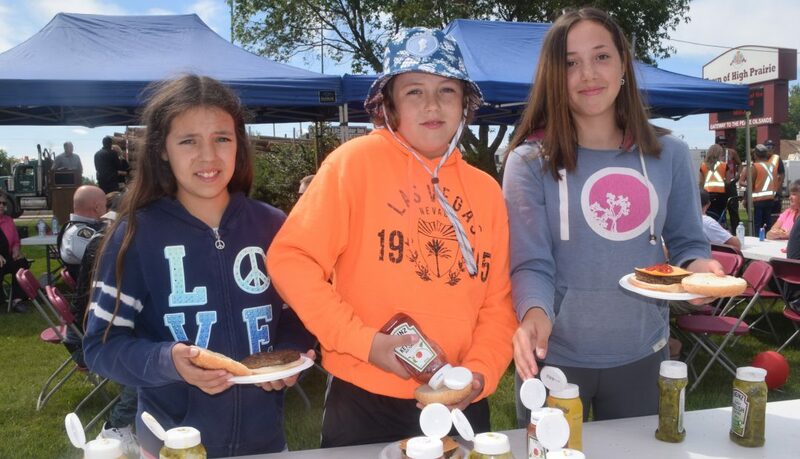 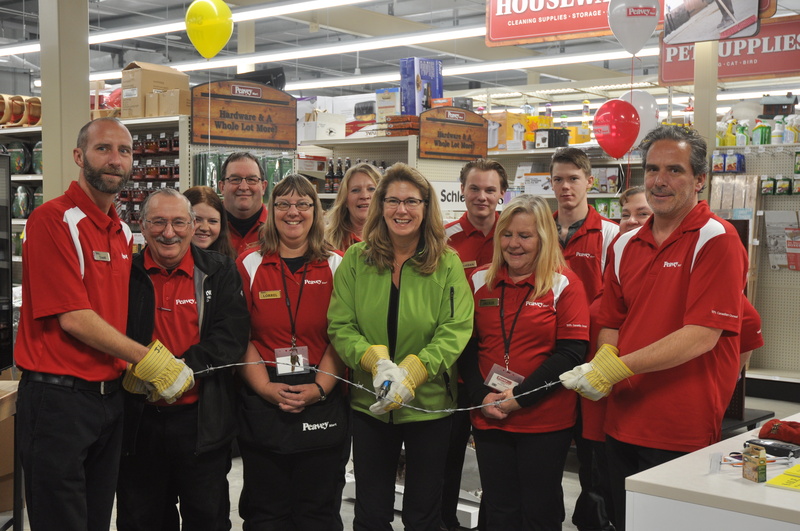 Locals enjoyed the burgers and drinks distributed by the town as they chatted with members of council.